The UK has recently been experiencing the type of prolonged hot spell that hasn’t been seen since the summer of 1976. In that year the government of the day introduced a Drought Act and even appointed a Minister for Drought, Denis Howell, whose job was to encourage the public to use less water. 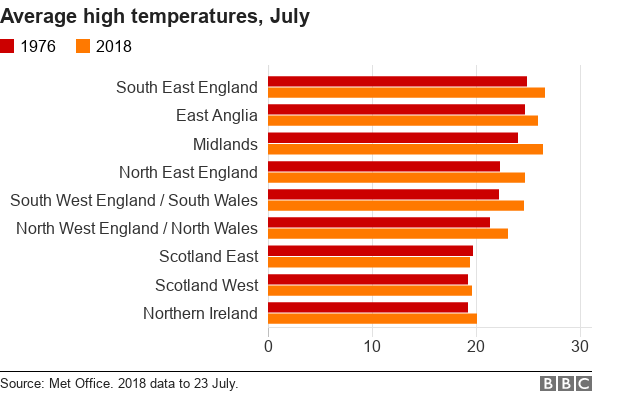 While a very wet (and cold) Spring and Winters saved us from serious water shortages, 1976 was a freakishly hot year but was a local effect, confined to the UK with generally average temperatures seen in other countries. In the intervening 42 years the average global temperature has crept up and is set to rise further. 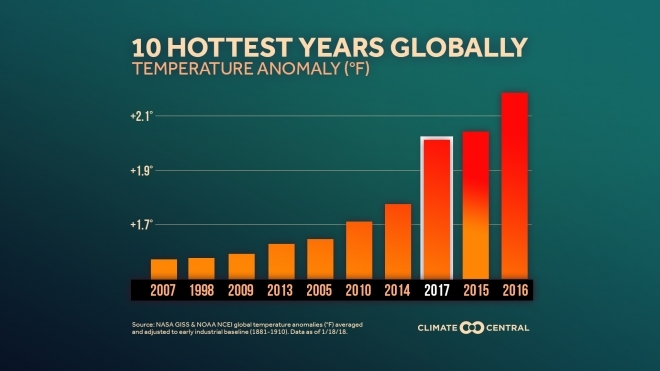 The trend is clear that recent years have been the hottest on record with 2017 being the third hottest on record. 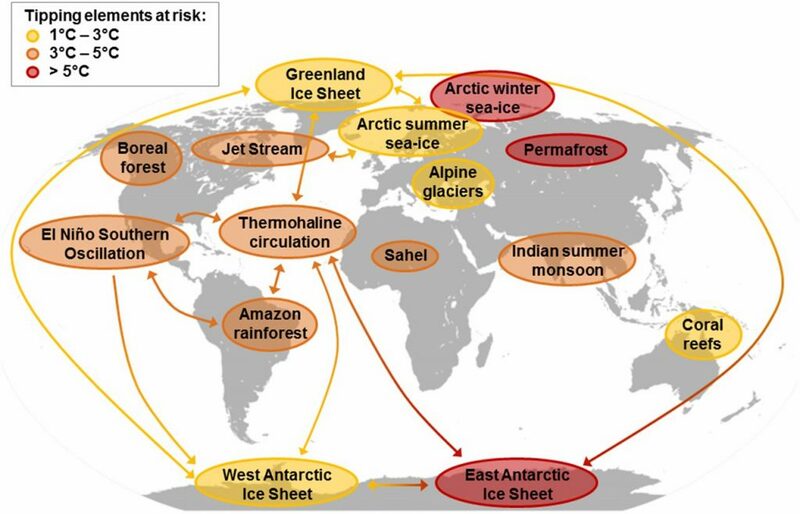 These are all consequences of extreme weather and scientists are starting to get less cautious about correlating specific events with the effects of climate change. 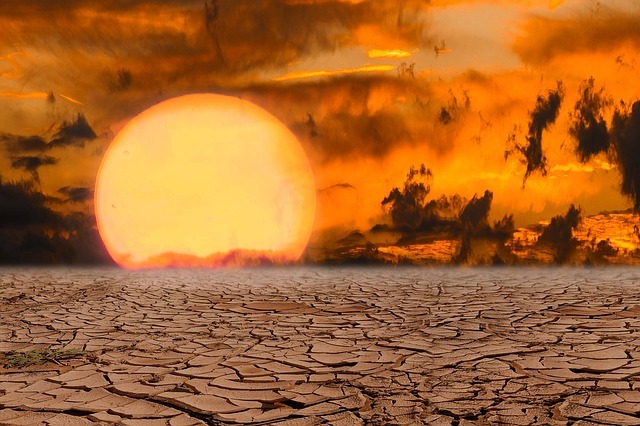 The term ‘hothouse earth’ is starting to emerge which refers an unassailable tipping point beyond which the Earth’s natural cooling systems start to unravel. Their analysis is not conclusive, but warn the Paris commitment to keep warming at 2C above pre-industrial levels may not be enough to “park” the planet’s climate at a stable temperature. The combination and interrelation of these events could lead to the type of runaway, uncontrollable heating that has been warned of for many years. Let’s hope it is not too late to act.